For many children around the country, and around the world, the opportunity to attend camp in Maine is a defining aspect of their childhood. These children grow up at camp – it is at camp that they meet their best friends and bridesmaids, and where they develop their interests and independence. They shed tears in their final summers, reflecting on the seasons spent amidst the lakes and pines that define the northeast corner of New England. And when they leave, they know they have been forever changed by the simple spirit of summers spent in Maine. Unless, of course, they simply never leave. My name is Jake, my Maine camp journey began seventeen summers ago, and I am one of those lucky people whose experience with Maine camps has extended into adulthood. When I was seven years old, after two years of incessantly begging my parents to send me away with my two older sisters, I was enrolled for my first summer at sleepaway camp. I was to be the youngest camper, and as I learned years later, my parents were not exactly confident that I was ready for the experience. What if I became unbearably homesick, or wasn’t socially mature enough to be away? My parents had talked extensively with the camp’s director, and had a contingency plan in place in case I simply needed another year to develop. But I didn’t. When my parents came to pick me up at session’s end – as I was only at a half-session camp – I hugged them tightly and then proceeded to tell them, “I love you, and I miss you, but I wish it was only visiting day.” And I meant it. After three wonderful summers, I decided a half-session camp wasn’t enough, and decided to switch to a full-session boys’ camp. When it came time to select a camp, the options we considered were inevitably located in the great state of Maine. Over the course of my time as a camper, I spent eight wonderful summers at these two Maine Camp Experience (MCE) camps. I learned how to flail through a lake test, and how to navigate the challenges of sharing a room with nine other adolescent boys. I discovered my love of theatre, and landed my first lead role as Tony in an all-male production of West Side Story (an emotional narrative that built to a climactic high-five with my good friend Adam, who was cast as Maria). I spent sweaty days on the fields and courts in the paradise that is New England, and smoky evenings around the fire as I discovered the true meaning of tradition. I learned about triumph and brotherhood over the course of color wars, I learned of forgiveness when a bunkmate spoiled the ending of Harry Potter and the Half Blood Prince, and I learned of loss one winter’s day when my mother told me that one of my bunkmates had succumbed to a fever and passed away. As the summers passed, camp became a part of me – the pines were in my bones, the lakes flowed through my veins. So it is no surprise that when it came time to leave camp for a career, I did everything in my power to make my career a part of camp. I am happy to say that I will be joining MCE as a blogger, and look forward to sharing more about the memories I made and the lessons I learned during my summers at camp in Maine. And this summer I will be returning to Maine as the Landsports Director at yet another MCE camp, this time an all-girls camp (I believe I may be the first person to attend an all-boys , an all-girls, and a co-ed MCE camp). I am genuinely grateful for the opportunity to contribute to Maine camps, because I truly believe that these same camps shaped who I am today. This summer, there will be thousands of children who travel to camp for the first time. Thousands more will continue their camp journey for yet another summer, while many others will say their goodbyes as their final summers come to a close. 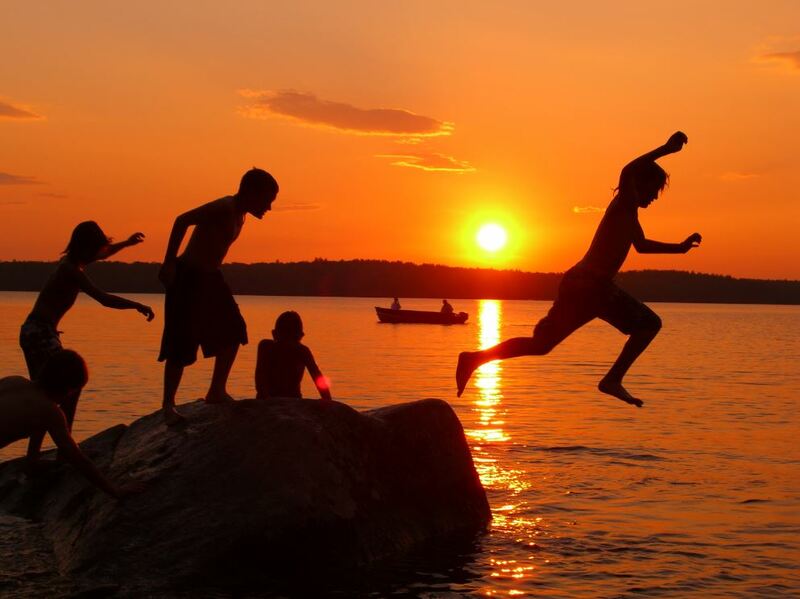 But for those children lucky enough to attend camp in Maine, the spirit of summer in Maine will never leave them. And for some, the truly lucky ones, perhaps they’ll never have to leave the spirit of summer in Maine.